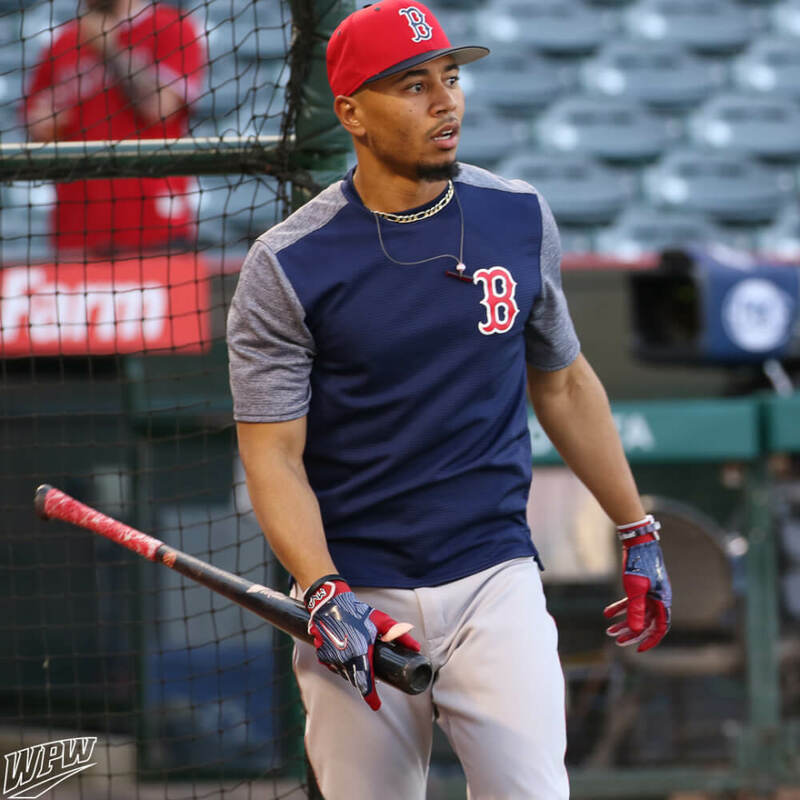 Mookie Betts’ Victus Axe MB50 maple bat, and the success he’s had with it, has been a catalyst for enormous growth in Axe Bat usage throughout MLB since it was introduced by Dustin Pedroia in June of 2015. Whereas the baseball world was rightfully skeptical when the Axe Bat first showed up, it is now impossible to ignore its effectiveness when Mookie is winning MVP’s with it. Betts swings a 33.5″, 31 or 30.5 ounce version of the MB50, a bat profile that is end loaded with a sharp taper into a long sweet spot. The Axe model offered as “Mookie Betts’ signature bat” on JustBats.com and BaseballExpress.com may be more balanced than Betts’ true profile and therefore friendlier to a wider range of ballplayers, but the X50 offered by Victus (at the link) is the exact same end-loaded bat as Mookie Betts’ Victus MB50 Axe. Shop at the link.